We will be holding a faculty meeting the morning of March 21st. 8:30am classes will be canceled, and all other classes will be held as usual. Students should arrive to school in time for their 9:30am classes. We have two weeks off for spring break coming up at the end of March/beginning of April. School will be closed from March 27th – April 7th. Classes will resume as usual on Monday, April 10th. We are looking for volunteers to provide lunch for the teachers this semester! We ask that families provide food or money to feed 15 people, most of whom are vegetarian. Please contact Lina (lina@wissf.org) if you are interested in participating. 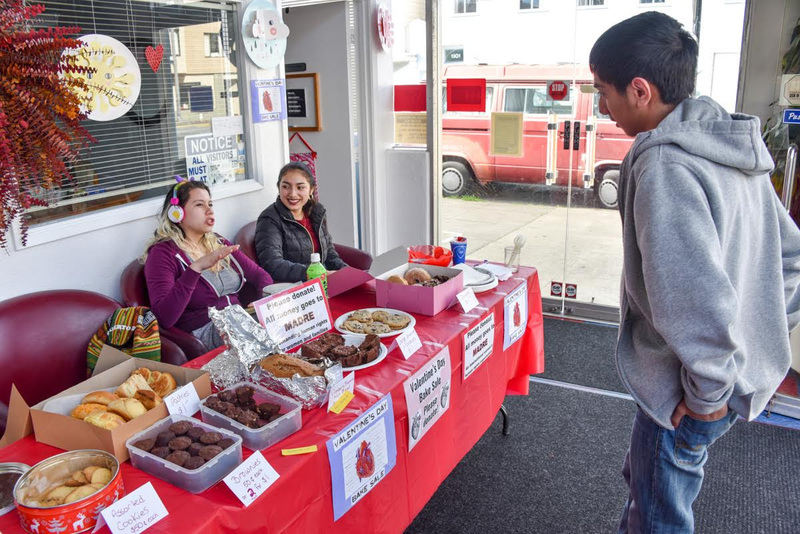 Thank you to everyone who participated in our Valentine’s Day Bake Sale! We raised $250 which will go directly to MADRE, an international organization demanding rights for women and families around the world. We are grateful to everyone that donated baked goods, money, and time watching the bake sale. Thank you so much! Lina and the Social Justice Club students visited the Islamic Society of San Francisco on Monday, February 6th. Students met with one of the directors of the center and learned about Islam while sitting in the mosque. Students described it as a humbling experience and were interested in learning something new while making connections with other members of our local community. We hope to continue to develop a partnership with the Islamic Society in order to build bridges within our society. 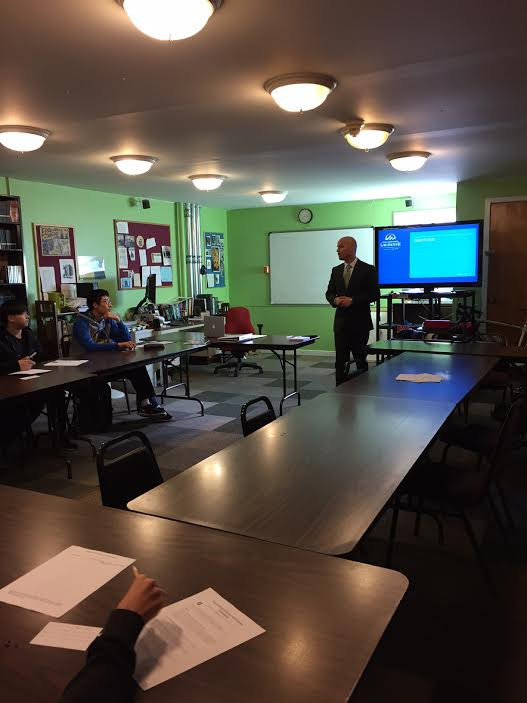 Daniel Flores, a representative from Ecole Hoteliere Lausanne in Switzerland, visited the WIS Junior College Counseling on January 26th, and shared the following information with our students. EHL is the first and #1 hospitality management school worldwide with double accreditation at the university level. First, it is officially recognized by the Swiss government as part of the University of Applied Sciences (HES-SO) and by the New England Association of Schools and Colleges (NEASC), Commission on Institutions of Higher Education. EHL offers the Bachelor program in English or French and either at our September or February intakes. You may consult the website for information regarding admissions criteria and application deadlines: http://www.ehl.edu/eng. Also, for students looking for something to do over the summer, have them look into Summer Academy! A panel of students from Bay Area high schools will tell you what teens are talking about and concerned about. They will share their insights with parents …. What are they worried about? What do parents do that they welcome? What do parents do that annoys them? What kind of support do they need from parents? These are just a few of the topics that may come up at this enlightening evening of teen opinion and discussion. Hilary Davis, MFT and Holly Greenberg, LMFT will moderate the panel. Parking is available in a secure lot (enter on Pierce between Ellis & Eddy). $10.00 donation is requested at the door. This popular event sells out. Buy your tickets online and arrive early for good seats.